When buying a new pair of ankle boots, it pays to do your research, as this is an investment purchase you want to see you through until next summer. This is where we step in. We have looked through all the new-in boots to bring you the five key styles which are worth buying into this season. These trends are all over new-in sections, however, they aren't a fad that you'll wear for just one year. The Western silhouette is dominating this year, and you either opt for a subtle cowboy boot or go all-out Dallas. Then the animal print trend has made its way into footwear, as snakeskin boots are having a moment. If you want something a little more classic, then we love the mock croc-stamped effect on ankle boots (the below Nanushka pair are the dream) and lace front detailing, as made popular by Instagram label By Far. Keep scrolling to see and shop the five ankle-boot trends we're most into for autumn. 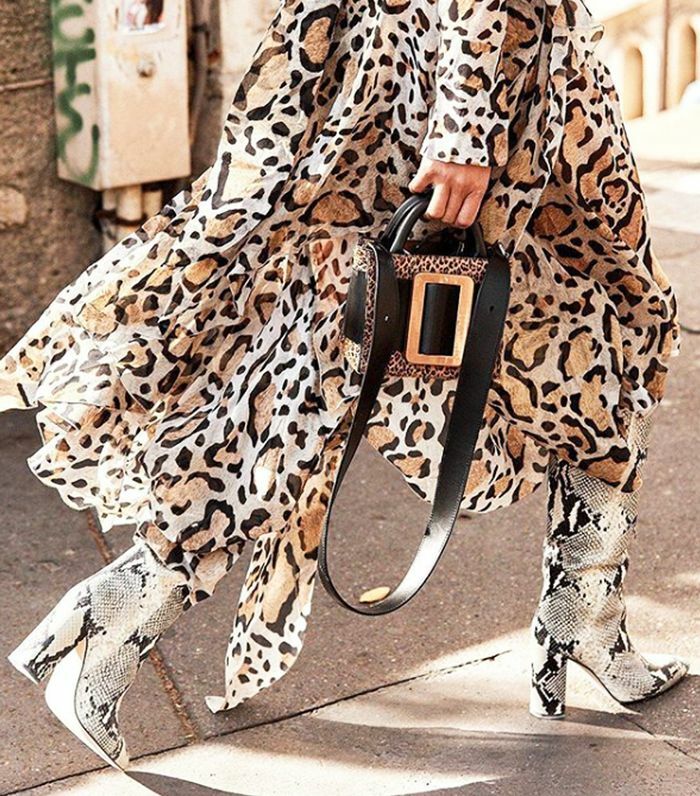 Snakeskin ankle boots are arguably the key buy for 2018, and there are several styles available—depending on quite how much animal print you can brave at once. Mango's dark brown £100 boots are chic, standout style. Hiking boots are no longer reserved for weekends in the Lake District, as designers like Proenza Schouler and Jimmy Choo have made practical boots a fashion-girl favourite. Western boots have been popular for several seasons now, and they remain a key buy for autumn 2018. Many of the styles out there have Cuban heels and square toes in black leather, which give them a modern update. Chloé's Rylee boots can't be restocked fast enough. Unsurprisingly, a number of lace-up front boots have followed suit. The laces add a quirk to classic black leather boots. When it comes to the most Instagrammable accessories for autumn/winter 2018, it's all about croc-effect boots. It makes the leather look so much more expensive. Next up, see our guide to the autumn/winter 2018 trends to know.